For health care providers living or working in the TC LHIN region, we offer FREE evidence-informed communication and motivational interviewing based trainings and practice sessions. We are a regional service led by South Riverdale Community Health Centre. We offer our city-wide group-based capacity building training in partnership with key healthcare institutions within the Toronto Central LHIN region. In addition to these courses, we can offer learning opportunities where participants that have attended core programming can practice the skills and reinforce the learning from the session they have attended. 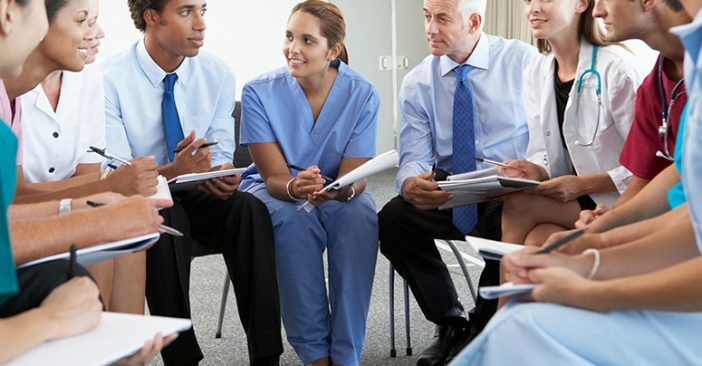 This evidence-based training is designed to help health care providers support management as well as behavior change that enables patient self-efficacy. This evidence-based training offers health care providers with an opportunity to explore their own beliefs about the behaviour change process and to test out these beliefs against the current evidence-based best practice.